The Beauty Of Wood With Exceptional Durability, Flexibility and Price. In short, Our Faux Wood Blinds Are Guaranteed For Life. 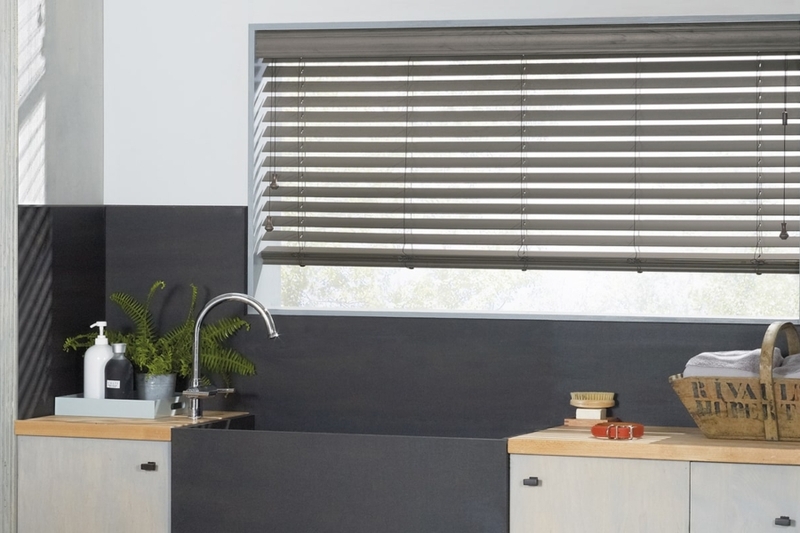 The difference between our faux wood blinds and real wood blinds is fairly significant. While our faux wood blind may look like wood, they don’t warp and they don’t color fade. In fact, , our Faux Wood Blinds are guaranteed for life. However, because faux wood blinds are heavier that natural wood blinds, you must choose wisely. For example, on a larger window, you’ll find that both real wood blinds and faux wood blinds become quite heavy. 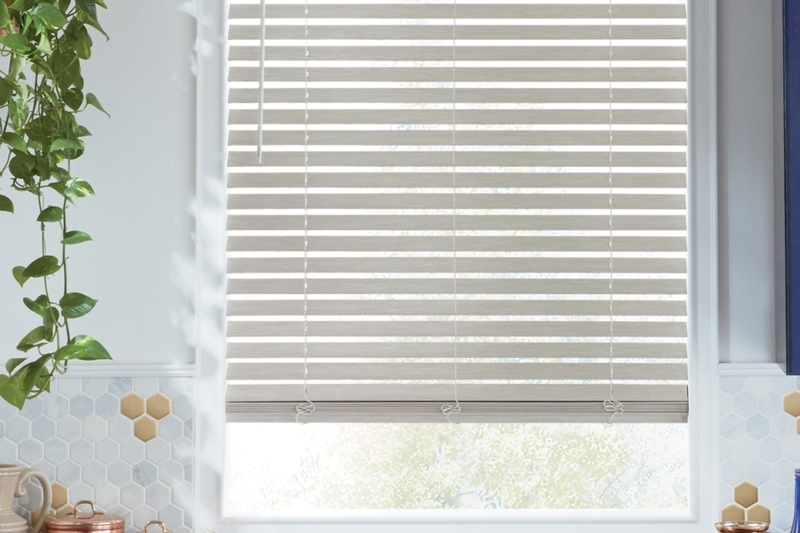 so we often advise people not to put one of these blinds on a large window, unless it is broken down into more than one blind, because it’ll get very heavy to lift. When you lift it up, and that heavy lifting wears on the cord over time, causing the cord to fail. 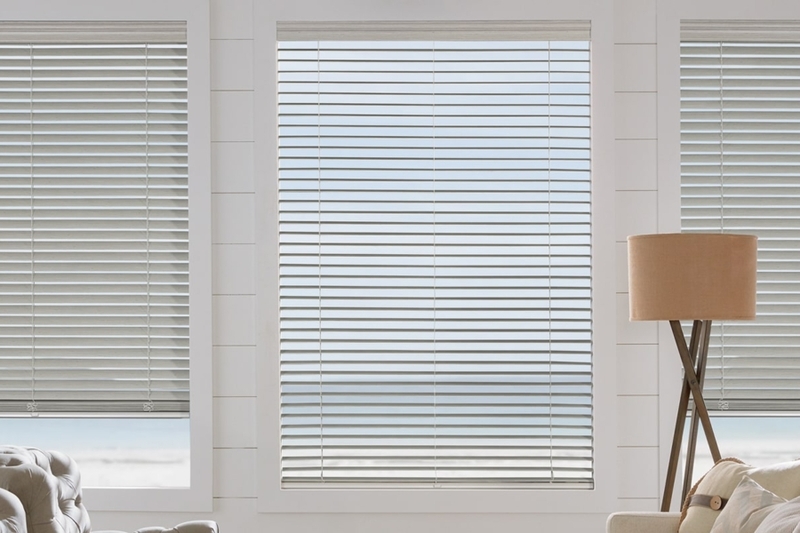 You can use these in any room, but they’re not the best for room darkening, because they do create light gaps between the slats on the blinds, so in a bedroom there’s still some light that is able to leak through into the room. No two homes are alike, and neither are your windows. Therein lies the problem: blinds, drapery or shutters you buy “off-the-shelf” are mass-produced to overly generic “standard” sizes. They are — by design — an attempt to be a “one-size-fits-all” solution. Unfortunately, these mass produced products do not and will not meet the exacting needs of today’s homeowners. Despite common misconceptions, window frames are notoriously built to “loose” standards. The reasons are many, but the end result is the same… window frames are never “exact.” When you couple a mass-produced product, that is built only God knows where, with a window frame that was also built to “loose” standards, you can start to see how problems are going to happen. That is why all of our products are custom measured, custom built, and then installed to exacting specifications. Because anything less is just asking for problems.